The Institute for Advanced Jesuit Studies beings the inaugural Certificate in Jesuit Studies program. 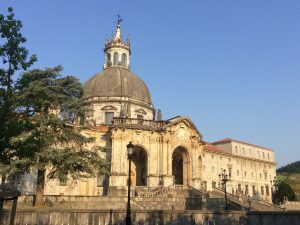 Participants from Japan, Ireland, and throughout the United States begin the program with experiential learning in Spain and Rome as they visit some of the most important sites associated with the history and spirituality of the Society of Jesus. The nine-credit academic program continues into July with graduate-level coursework at Boston College and seminars led by Tim Kesicki, SJ, president of the Jesuit Conference of the United States and Canada; David Quigley, provost of Boston College, William Muller, SJ, executive director of the newly created Jesuit Schools Network of North America, Jack Raslowsky, president of Xavier High School in New York City, and William P. Leahy, SJ, president of Boston College, among others.